CAMERON ADAMS is a research associate in the School of Anthropology and Conservation at the University of Kent, Canterbury, and a coorganizer of the annual Breaking Convention conferences. ANNA WALDSTEIN is a lecturer in medical anthropology and ethnobotany at the University of Kent and studies self-medication with herbal medicines as a form of empowerment and/or resistance to biomedical hegemony. BEN SESSA is a child and adolescent psychiatrist and psychedelic researcher in the United Kingdom. DAVID LUKE is a senior lecturer in psychology at the University of Greenwich, London, where he teaches an undergraduate course on the Psychology of Exceptional Human Experience. He is director of the Ecology, Cosmos and Consciousness lecture series at the October Gallery, in Bloomsbury, London. 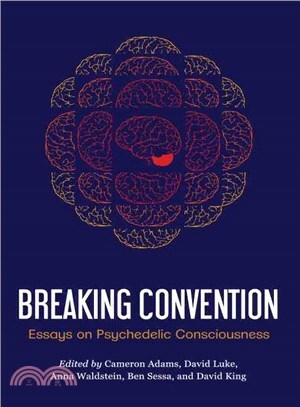 DAVID KING is a cofounder of Breaking Convention and a cofounder of the UKC Psychedelics Society, and he represented the Beckley Foundation at the House of Lords in 2011. He studied anthropology at the University of Kent, and his research has focused on concepts of health and medicine among cannabis users. The author lives in United Kingdom.